The Torpedo Family. 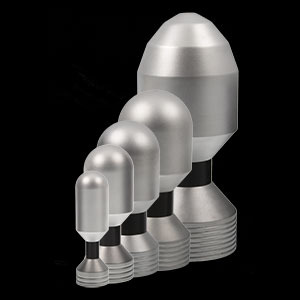 Ranging from the Small Torpedo at 1 1/2" diameter right up to the world beating Decimator™, the Torpedo range covers the largest range of electrode sizes in any e-stim electrode collection available. 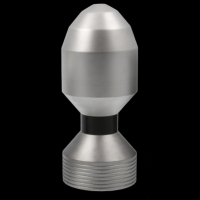 Every electrode in the Torpedo Family features our top-bottom contact design, giving a far more effective stimulation, as well as providing the bulk of the electrode in the head for that fullness sensation. 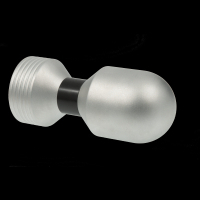 Available as standard in our new luxurious Satin finish, or a highly polished option. All of our Torpedo Family can be disassembled for cleaning and are covered by our lifetime guarantee. 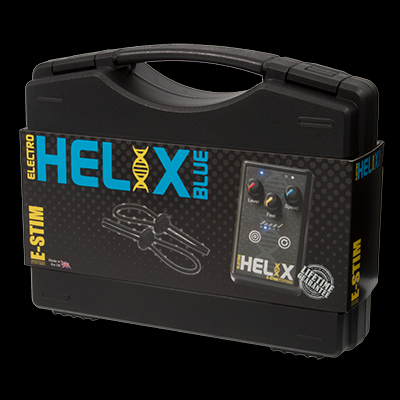 We don't supply a cable with our Torpedo Family electrodes, as one cable will fit many electrodes, so to help you decide if you need a cable all of the electrode web pages are now marked with a simple cable key to indicate what cables are compatible with each electrode. The Torpedo Family come with 4mm connections need a 4mm cable, but can also be used with a 4mm Low Profile Cable which means less of the connector sticks out (ideal if you want to sit on an electrode).